· The 150th anniversary of the unanimous vote by the Utah Territorial Legislature to grant women the right to vote on February 12, 1870. Two days later, Utah women became the first to do so in the modern United States. The goal of this initiative is to provide 1,000 women and partner organizations with toolkits including voter registration forms, training, and Voterise’s signature “text to register” business cards. Alongside the toolkit, Voterise is planning a Utah Women’s Registration Day, as well as conduct a Get Out the Vote program. Utah, the third fastest-growing state in the nation, is highly diverse with approximately 16% of its population being of Latinx descent as well as significant numbers of Native American, African American, Asian and Pacific Islander citizens. Salt Lake City, on a per capita basis, ranks 2nd in the country for LGBTQ population. Between 1980 and 2016, Utah fell from having the 5th best voter turnout in the country, to the 39th. Utah has a voting problem, and the Peace and Possibility Project is pleased to support this important work. 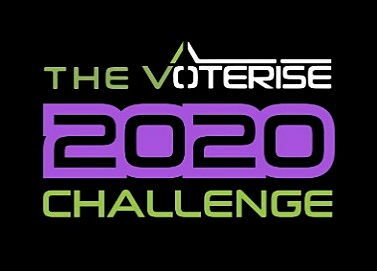 For more information on Voterise, or to become an ambassador of the 2020 Challenge, visit their website. The 2019 Legislative Session came to a close this month, rounding out 45 days, countless issues, hundreds of new laws and pieces of code. This year I watched several pieces of legislation: Equality Utah had two incredibly important bills, one banning conversion therapy and the other creating a hate crimes statute. In addition, I watched three bills supported by the United Way of Slat Lake that increased early childhood education funding and developed more scholarship opportunities. As with all issues in Utah, some passed and some didn’t. Here’s my summary on these bills. SB 103, Victim Targeting Penalty Enhancements, was sponsored by Sen. Daniel Thatcher, and Rep. Lee Perry. The passage of this bill has been a long time coming. The effects of hate crimes are different from the effects of other crimes because hate crimes can terrorize entire communities. In other words, hate crimes are especially frightening because they send a message to an entire group that they’re under threat as well. This bill passed on march 13, and is headed to the Governor’s desk for his signature. HB 399, Prohibition of the Practice on Conversion Therapy upon Minors, was sponsored by Rep. Craig Hall. This year Equality Utah worked with the State Legislature to ban conversion therapy. Passing such a prohibition has been a priority for Equality Utah as a way of combating the state’s high suicide rates. Unfortunately, this bill was substituted with a bill that will not protect children from conversion therapy, or prevent and LGBTQ youth suicides. In a surprising turn of events, Governor Gary Herbert pulled his support for the bill after it was substituted. No bill was passed this session, but I’m sure this issue will not go away as conversion therapy is still happening in Utah. SB 166, School Readiness Amendments, will align all of the preschool bills that have passed over the years, and provide $12 Million in ongoing funds for school, private and home-based preschool programs that help children start kindergarten ready to learn. This bill passed and received its full funding request. HB 47, Early Childhood Coordination Amendments also passed, which will help improve policy decision-making, alignment, and coordination of programs and services for kids ages zero to six. Knowing the first five years of a child’s life are the most critical to their long-term success, HB 47 will help highlight where the gaps are, and what changes need to be made to ensure every child has the chance to grow and thrive. HB 260, Access to Utah Promise Scholarship, passed providing a huge win for college access. Education is key to breaking the cycle of poverty and ensuring families are financially stable. This bill builds a statewide pipeline to college access and completion for students who otherwise would not attend. While there are hundreds of other bills that passed and failed, these 5 were at the top of my list this year. Huge wins for college access, early childhood education and the LGBTQ community. There is still a lot of progress we can make, but we have a good start. For decades, too many LGBTQ+ youth have been subjected to the harmful practice of conversion therapy. Eleven states and the District of Columbia have already made conversion therapy illegal for state-licensed mental health providers. Conversion therapy is still being implemented in Utah County and Salt Lake County. This year, Equality Utah is working with the Utah Legislature to ban conversion therapy. Passing such a prohibition has been a priority for Equality Utah as a way of combating the state’s suicide rates, which are the fifth highest in the nation. Utah’s high suicide rate is a crisis that needs attention, and prohibiting conversion therapy is an important step to address this crisis. According to the American Psychological Association, "conversion therapy" is dangerous because it can exacerbate distress and depression and cause negative self-image. Also, the Human Rights Campaignnotes that “minors are especially vulnerable, and conversion therapy can lead to depression, anxiety, drug use, homelessness, and suicide.” In fact, in 2015, the White House recommended that conversion therapy be banned for minors. A study done by the Williams Institute reports that nearly 700,000 LGBTQ+ adults in the United States have undergone this therapy at some point in their lives, about half of those as adolescents. I’m proud to support Equality Utah in this important work. This week I had the pleasure of attending the annual United Way Legislative Preview Breakfast. This year, the main discussion among the panelists was Utah’s continually underfunded Education System and with the recent Election and Question 1, the discussion was timely and informative. United Way President and CEO, Bill Crim kicked off the event by talking about the United Way’s legislative priorities. At the very top of that list is public education and adequate funding for our students and teachers. During the 2018 election, Utah voters shot down a proposal that would have infused Utah’s Public Schools with necessary funds for classrooms and teacher pay. It is now back in the legislature’s hands to fund public education. Six in ten Utah children start school not ready to learn, which mean we need to not only fund k-12education, but also pre-k and early childhood. The panel also focused on education and early childhood education. The 4 panelists were the new Speaker of the Utah House, Rep. Brad Wilson (R – Layton), the New President of the Senate, Sen. Stuart Adams (R-Layton), the House Minority Leader, Rep. Brian King (D-Salt Lake) and Senate Minority Leader Sen. Karen Mayne (D-West Valley). Rep. King said, the “most effective use of education money comes in the first 8 years of life.” Utah must do better when it comes to funding important early childhood education. Sen. Mayne touched on the need for afterschool programs as well. They greatly increase a student’s chance for success. Also, part of the discussion was the recent Medicaid expansion passed by Utah voters. Sen. Karen Mayne touched on the reported addition of a work requirement to the initiative and talked about someone’s ability to work being based on their health. This article in the Deseret News details part of this discussion and highlights the ongoing threats to Medicaid expansion that will ultimately slow implementation and increase barriers to low-income families for whom Medicaid provides crucial access to health care. In 2015, Tami and I, with Weber State University, founded the Peace and Possibility Speaker Series in partnership with the LGBT Resource Center. The series aims to bring to bring high profile LGBT leaders and advocates to the university to provide cultural opportunities, enhance the “welcomeness” and inclusion on campus and cultivate the “ally” community. In 2016, as part of the Speaker’s Series, we launched the first essay contest for Weber State Students to earn $1000 and $500 scholarships for writing their stories and experiences within the LGBTQ+ Community to achieve success and make a difference. Once again, this year, the LGBT Resource Center is accepting student essays. Students who submit an essay could win a cash scholarship; 1st place will receive $1000, 2nd and 3rd place will each receive $500. Any student interested in sharing their experience for a chance to win a scholarship should submit an essay. · What does LGBTQ+ mean to you? · How do you or would you leverage your talents, skills, and experience to achieve success and make a difference? · In what ways has your LGBTQ+ identity or involvement with the LGBTQ+ community influenced your life? Essays are due and should be submitted to Jayson Stokes by Monday, November 26, 2018 at 5:00 pm. Imagine experiencing the death of a child. And then imagine your child was a gay college student who died as a result of a brutal attack that left him beaten and suffering. And next imagine that tensions were so high at the time of his funeral that you, his parent, had to wear a bulletproof vest under your suit to the service. And finally imagine it took twenty years to find a place where you could safely lay your son’s remains to rest without fear of them being desecrated by further anti-gay violence. Such has been the journey of the parents of Matthew Shepard since his horrific murder in October of 1998. This month, with much love and respect, Matthew was finally interred in a place of honor in the Washington National Cathedral. I discovered this event was happening when I was in Washington D.C. for work and inadvertently, but fortuitously, ended up at a candlelight vigil in Dupont Circle, held on the night before Matthew’s formal interment in the National Cathedral. Two hundred plus people had gathered around the fountain in Dupont Circle to sing, reflect, and hear words of inspiration from community and religious leaders. The Rev. Gene Robinson, the Episcopal priest who in 2003 was the first openly gay person to be elected a bishop in a major Christian denomination, and who became a friend and supporter of the Shepards, spoke to the crowd about the need to reaffirm unity in the face of hatred. As a tribute to Matthew and his family, it's useful to reflect not only on the tragedy, but also on things that happened as a result. First, let me say that my friends and I in the gay community in northern Utah were rocked to our core by this senseless murder. Not only were the details horrific, but the college town of Laramie, Wyoming was not all that different from my town of Ogden, Utah. As a lesbian who had only been open about my sexuality for a few years, and who had received some nasty threats from homophobic locals, the reality of what homophobia could lead people to do was hard to shake. As I stood in Dupont Circle 20 years later, holding a candle in the dark with a couple hundred strangers, it was easy to recall the feelings of fear and horror engendered by his murder. And yet, with the sadness, it was also affirming to hear the words of the speakers, calling on people to continue to show love and to continue to work to protect marginalized communities from violence. The evening’s experience made me think of the ways in which Matthew's death had given us opportunities to find and reaffirm that unity. Second, in the early 2000s, Tami and I discovered a local production of The Laramie Project by a nascent theater company called Plan B. The Laramie Project is the true story of the reaction of the residents of Laramie after Matthew’s murder. We were blown away by the play, and in the process were introduced to the creative genius of Jerry Rapier, the Artistic Director of Plan B. Tami went on to become a long-time board member of Plan B Theater and we have been dedicated financial supporters of this local theater company's work for many years. Plan B is an important local resource that produces the work of Utah playwrights, often gives voice to lgbt issues, and is famous for producing theater that creates conversation. Had it not been for their production of The Laramie Project, we might never have discovered them. Third, we had the opportunity to meet and listen to Matthew's mother, Judy Shepard, at a variety of events over the next two decades. She would not know us, but we were awestruck by her resolve and ability to turn her grief into a call for action. She is a small, shy, quiet woman who I gather would have been happy to avoid any publicity for the entirety of her life. Instead, she was willing to step up and speak openly and honestly over the years, and in the process touched thousands of hearts and changed thousands of minds. After Matt was murdered, President Clinton in 1999 urged Congress to expand federal hate crimes law to include sexual orientation. It was initially received as giving "special protections" to gay people and was voted down in Congress year after year. Judy continued to advocate for the need to protect people like her son, and finally, in 2009, Congress passed the Matthew Shepard & James Byrd Jr. Hate Crimes Prevention Act and President Obama signed it into law. What lessons have we learned from Matthew Shepard’s saga? Perhaps that when death slams one door shut, other doors open. We are reminded that good people will rally together after experiencing tragedy; that hearts can be changed and that laws can be improved. However, we apparently have a long way to go in learning to stop senseless violence. As I write this, our country is reeling from a week that saw pipe bombs mailed to leading political figures and the murder by gun of many Jewish people while they were worshipping inside their Pittsburg synagogue. The answer? I don’t know. But I do know this: each one of us can start right now to take personal responsibility for being kind. No committee meetings, no protocol, no fund-raising, no approval needed – just start. Be kind to yourself, be kind to your family, be kind to your neighbors, be kind to strangers. Start now – it won’t hurt us to be kind while we figure out together the bigger answers. I think your kindness would make Matthew Shepard smile.